Eating healthy can sometimes be tough. After all, teens are busier and busier with school, part-time jobs and other activities. What a teen eats is not always high on the priority list. For many teens, nutrition consists of whatever can be eaten in the car, shuttling between activities. While the ill effects may not show now, eventually poor nutrition habits will catch up with teens. In fact, many teens show the effects of less than desirable nutrition practices now, even though they may not know it. Specific nutrients are especially important during the teen years. The U.S. Food and Drug Administration places emphasis on iron and calcium because of the special roles these nutrients play in teen development (1). Lack of iron can lead to anemia, and sluggish feelings during the day, negatively affecting alertness in school, at work and even during athletic participation. 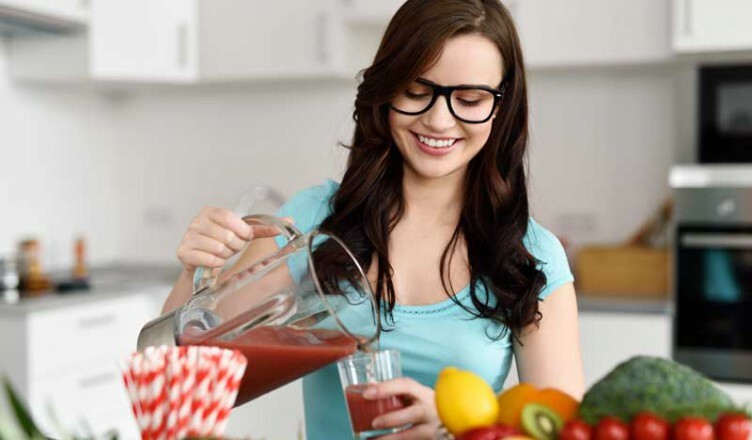 Iron intake is especially important for teenage girls, as menstruation depletes iron. Calcium is important for future health. The teen years are ideal for building bone mass with the help of calcium (2). Brittle bones in the future (osteoporosis) and other health problems can result from a lack of calcium during the teen years. From protein: 10% to 30% of daily calories should be from proteins. From carbohydrates: 45% to 65% of calories should be from this group, the main fuel for the body. Fat should not exceed 35% of daily calories, but is somewhat necessary: at least 25%. 1,300 milligrams per day of calcium. No more than 1,500 milligrams of sodium per day. Fat: between 25% and 34%. Sodium: no more than 1,500 milligrams. There are many sources of proper teen nutrition. Eating fruits and vegetables is a requirement, as is consuming an appropriate amount of dairy products. Protein is abundant in meat, fish and poultry, as is iron. Additionally, dark green vegetables are good sources of iron. Calcium comes from dairy products, along with protein. Good sources of fiber include whole grain breads and cereals and fruit. Practicing teen vegetarians can still get adequate nutrition. Calcium sources include calcium sulfate-processed tofu, leafy green vegetables and soymilk and orange juice fortified by calcium. High-iron vegetables include broccoli, spinach, watermelon and raisins. Vegans should find a vitamin B-12 supplement, although some soymilk has this fortification (4). And, of course, try to carry bottled water and drink that instead of soda or sugary drinks. Teens don’t have to cut out unhealthy foods altogether (sometimes it’s nice to indulge), but it is important to make sure that good nutrition far outweighs the bad.